With a full, athletic fit, these raglans let you stretch and move while effectively managing moisture. Sweat is wicked away from the body, so you stay cooler and drier. Plus, these shirts fight odor so you can perform with confidence. 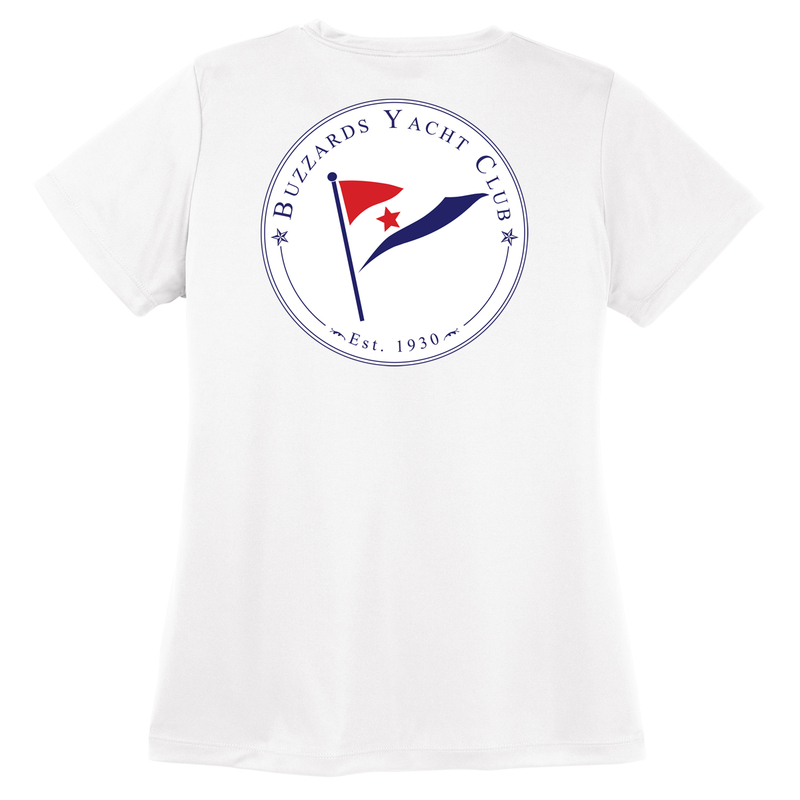 This woman’s tech tee is sublimated with Buzards Yacht Club burgee on the left chest and large logo on the back.